"His was a legacy to everybody wanting to know about the Pacific war, not just researchers, but also people who want to know what happened to their loved ones." Roger Mansell of Palo Alto, California passed away peacefully at home surrounded by family on October 25, 2010. Roger Mansell was born in 1935 in Brooklyn, New York. After graduating from Mepham Highschool in Wantaugh, NY, he attended Brown University. Commissioned in the U.S. Army Artillery he was stationed in Korea then at Fort Bliss,Texas. Having completed his military sevice, in 1962, he moved to California and a successful business career. It was to be the deep impression made upon him by an employee who, as a child, had been a prisoner under the Japanese during WWII, that set him on a course to discover more. A family friend, Maj. General Ralph Smith, who died at 104 in 1998, the oldest surviving general of WWII, encouraged him to join the local American Legion and partipate in their activities such a lunch group that met regularly to discuss WWII history. When he met a veteran who had been taken prisoner by the Japanese on Guam, Mansell realized that many of the ex POWs, now elderly, had never told anyone about their experiences in what was a crucially important part of the history of the war in the Pacific. After he retired from a career in business in the 1990s, he began researching the allied POWs of the Japanese, a gruesome story that had been largely buried in inaccessible archives. Over more than twenty years, he made multiple and extended visits to the National Archives Modern Military Records in College Park, MD, and to the Hoover Institution Library and Archives, as well as military historical centers, scanning and photographing thousands of documents that had never before been been centralized or complied. He perfected a technique of mounting a camera on a tripod to film documents, which he shared with would-be researchers, POWs and their descendants at ADBC and Far East POW conventions until shortly before his death. 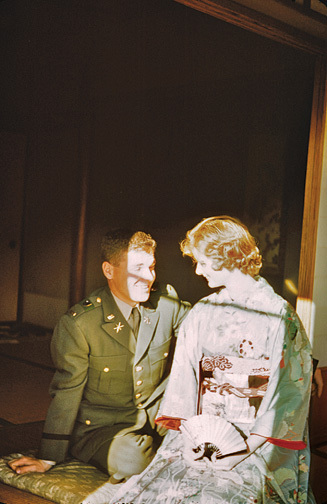 Since the beginning of Mansells project, his chief goal was to compile a database of more than 100,000 records to document what happened to every Allied soldier who was captured by Japanese forces during the war. Approximately 90 percent completed at the time of his death, this vast database contains information on when soldiers were captured, where they were interned, and whether they died or were repatriated at the end of the war, as well as the conditions of their captivity. He founded the Center for Research Allied POWs Under the Japanese which posted the research on its website, www.mansell.com. That website has been turned over his colleague, Wes Injerd. He turned his retirement into a full-time job not only undertaking research and elaborating the website, but assisting the hundreds of people who came to his website looking for information about what had happened to friends, fathers, grandfathers, and others. As one result of his research, Mansell has helped several families locate the remains of soldiers who were missing in action during the war; he has also frequently been consulted by researchers around the world seeking information about individual soldiers or the camps in which they were interned. At the annual conventions of the American Defenders of Bataan and Corregidor (ADBC), he gave talks about aspects of his research, and he always brought his laptop computer to be able to assist the many people who had questions about the rosters and the camps. Historian Linda Goetz Holmes, author of Unjust Enrichment: American POWs Under the Rising Sun, recalls long lines of people waiting to consult him. "Often he would be able to tell an ex-POW that his buddy from prison camp survived the war, and is alive and well in San Diego (or someplace). The man would frequently thank Roger with tears in his eyes. At recent conventions. Roger gave talks on archival research and distributed CDs of data all compiled at his own expense. Roger's mantra was, 'Share your research.'" As Goetz Holmes emphasizes, "Roger showed people how to research." He also spoke at conferences abroad, including the U.K. where, in 2006, he addressed the first International Researching FEPOW History Conference held at the National Memorial Arboretum, Alrewas. In in China in 2008, he was named a fellow at the University of Shenyang Research center on WWII POWs, at a conference on the Mukden survivors. Only a fortnight before his death he sent a video recorded talk which was greeted with sustained applause at the 2010 FEPOW History Conference. He also continually stressed the importance of preserving rare memoirs, books, letters, documents, photographs and more. In September 2010, the Hoover Institution Library and Archives received his large donation of World War II-era research materials. Consisting of more than fifteen linear feet of documents, some fifteen hours of video recordings, and approximately four hundred published titles, as the Hoover Institution's announcement notes, "the Roger Mansell Collection will be a valuable resource for those interested in studying the roles of prisoners of war during that conflict." In addition to compiling the rosters, Roger Mansell wrote a book, Captured: The Forgotten Men of Guam. Based on over a decade of original and extensive research, including many interviews with survivors, the mansucript, completed before his death, was edited by noted POW historian Linda Goetz Holmes and was published by Naval Institute Press in November 2012. Captured tells the story of what happened to the men, both military and civilian (including Pan Am Clipper crews), captured by the Japanese in the wake of the attack on Pearl Harbor in 1941. Visit the book's webpage here. The sixth of eight children, he was born October 8, 1935 in Brooklyn New York to Francis and Elizabeth Mansell. After graduating from Mepham Highschool in Wantaugh, NY in 1953, he attended Brown University, where he met his wife, Carolyn Mayo Mansell, whom he married in 1959 in the Brown University chapel. After Officer Candidate School, he received his commission in the U.S. Army Artillery later that same year and was stationed in Korea on the DMZ until 1960. During this time he learned some Korean and traveled to Tokyo for his honeymoon. From 1960-1962, he was stationed at Fort Bliss in El Paso, Texas, where his daughter Catherine was born. While at Fort Bliss he worked on the Hawk Missile system (one of the most highly advanced systems at that time), and frequently at White Sands Missile Range. In 1962, having fulfilled his commitment to the U.S. Army, he moved with his family to the San Francisco Bay Area. His father-in-law, Dr Frank R. Mayo, was then a leading research chemist at Stanford Research Institute. Roger Mansell began his career in business in sales with Addressograph-Multigraph in San Francisco. His daughter Alice was born in Palo Alto in 1963. In the 1960s and 70s he learned to fly small planes and took the family on several cross-country flights. He taught himself to play guitar and later he became an avid skier. During these years he established several of his own businesses, including Mansell Advertsting, Mansell Graphics, and Mansell Publishing. In the 1990s, he relocated his main office to Los Altos. Ever since his daughter Catherine's marriage to Agustín Carstens, a Mexican citizen, in 1986, the Mansell family has had a close connection to Mexico. In 1988, Roger and his wife Carolyn purchased a house in Los Cabos, at the end of Mexico's Baja California California peninsula, where for over two decades, they spent extended periods of time and made many friends. In the late 90s, together with his daughter Catherine Mansell Carstens, who writes and translates as C.M. Mayo, he founded Tameme, a nonprofit foundation dedicated to publishing new writing in English and Spanish from Canada, the U.S. and Mexico. The literary journal Tameme and subsequent chapbook series featured works by dozens of leading literary figures, among them, Margaret Atwood, Cola Franzen, P.K. Page, Douglas Glover, Colette Inez, Edwidge Danticat, Alberto Blanco, and Juan Villoro. Board members of Tameme included his Mepham Highschool classmates, author Tom DeLong and poet Harry J. Smith, editor and publisher of The Smith. During much of the time Roger Mansell was researching the POWs, Catherine (as C.M. Mayo) was researching Mexico's Second Empire / French Intervention, also in many archives in Washington DC, for her novel The Last Prince of the Mexican Empire, and so they were able to share many dinners and conversations in Washington DC. Until the end of his life, he enjoyed playing the piano, and was partial to WWII songs and Broadway tunes. A great raconteur, he loved being around people, and reveled in his annual St. Patrick's Day parties. Roger Mansell is survived by his wife of 51 years, Carolyn Mansell; daughter Catherine Mansell Carstens and son-in-law Agustin Carstens, and daughter Alice Jean Mansell. Carolyn Mansell is the founder and president of Mansell & Co. Residential Real Estate in Los Altos, CA. Alice Mansell is a lawyer and works in real estate with Mansell & Co. Catherine Mansell Carstens is a writer and translator and has published several books as C.M. Mayo. Agustín Carstens is the Governor of Banco de México. His surviving siblings are Frank Mansell, Mary Redmond, Joan Eckhardt, and Margaret Spetnagel. A Memorial Mass was held on Thursday, October 28 at 8 pm at the Iglesia Santa Catarina in Coyoacán, Mexico City, and a celebration of his research about the allied POWs of the Japanese during WWII and the donation of his extensive archive to the Hoover Institution of Stanford University will be scheduled soon. For more information and also for more about his forthcoming book, Captured: The Forgotten Men of Guam, please click on the cover.